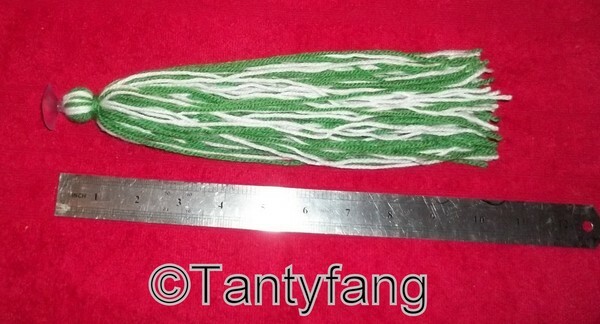 The mops are available in 3 different sizes, 3 inch, 5 inch 7 inch and 9 inch. All sizes are approximate as they are hand made, slight variations are to be expected. Can be made to custom sizes on request. If you want to create a sinking mop, then remove the suction cup and attach to something heavy. Or, if you can access the base of the tank easily, then attach the sucker to the base.